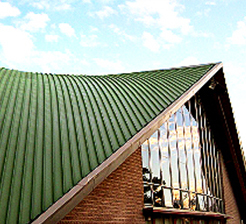 Godwin roofing contractors in Gainesville FL custom-design and install conventional and energy-efficient metal, shingle and flat roof systems. We upgrade reflectivity, ventilation and insulation so your home or office is always comfortable — while saving you up to 20% on power bills! Our affordable Green roofing systems are sustainable, attractive, and withstand Florida’s tough weather. Options include radiant heat foils to block up to 95% of the sun’s heat, and solar tube skylights to provide natural lighting to almost any room in the house. 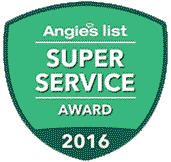 Call Chris now at 352-538-4795 for a free quote, or use our quick quote form. Save money, save the environment! 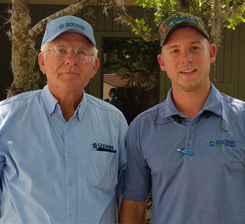 "We have trusted Godwin for over 35 years. 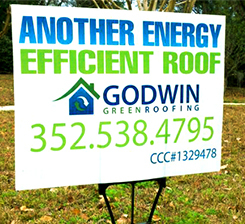 We love their energy efficient roofs and great pricing"
"Godwin is our favorite sub-contractor"
I choose Godwin for all of my roofing projects. We appreciate their delightful customer service and attention to detail.